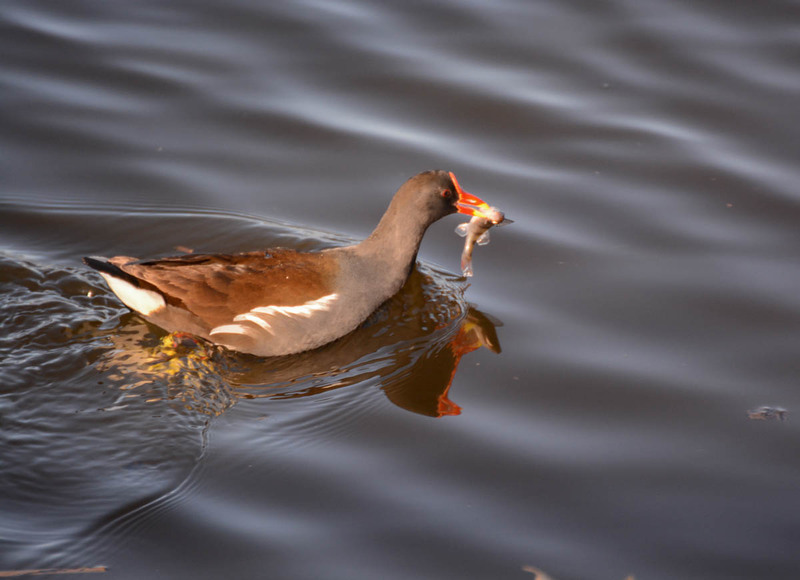 I saw this bird swimming in the pond and I think it is a common moorhen. And it seems it got a fish, probably a common minnow or a gudgeon (gobio gobio). It’s funny because I actually didn’t notice the fish in the beak when I shot the photo, I noticed it at home. I had to crop the image a lot because the bird was too far away. It was also shot at a time when I still did mostly take JPG photos. But I think it’s still a nice snapshot. You can find more bird photos on my blog if you found the photo interesting. [ Smiles ] That is one very lucky bird. He caught dinner early. I think they must be very fast to achieve this. It’s interesting that they can do this.